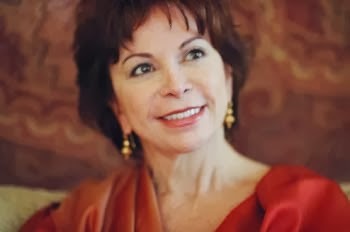 Chilean born author Isabel Allende won worldwide acclaim aged forty after almost twenty years in journalism, when her best selling first novel, The House of Spirits was published in 1982. Since 1987, Allende has made her home in San Rafael, California and she became a U.S. citizen in 1993. She frequently returns to Chile. How does one summarise in a brief biography a woman whose international awards alone, would take up more space than one interview post here, should permit? I feel it is best read in her own words, so please read here to go to her own website biography. Isabel's 20 books have sold more than 57 million copies and have been translated into 37 languages. Politics is very personal for Isabel Allende. Daughter of an ambassador, her father was a first cousin of socialist Salvador Allende, President of Chile from 1970 to 1973. She experienced the military coup which to many of us is only second-hand history. She has achieved more honours than most aspiring authors will have heard of, yet above all the accolades it is the basic human need in us all, to love and be loved, that lies closer to her heart and inspires many of her characters. She values engagement in the wider world and continues the work of her daughter, through her own foundation. As I myself turn forty in 2014, she continues to be an inspiration. "It is very strange to write one’s biography because it is just a list of dates, events, and achievements. In reality, the most important things about my life happened in the secret chambers of my heart and have no place in a biography. My most significant achievements are not my books, but the love I share with a few people—especially my family—and the ways in which I have tried to help others. When I was young, I often felt desperate: so much pain in the world and so little I could do to alleviate it! But now I look back at my life and feel satisfied because few days went by without me at least trying to make a difference." David Frost was an experienced interviewer and your interview with him, is wonderful. Sadly he is no longer with us. What would you have liked to ask him, if the interview had been the other way around? How did the incredible success of your interview with Nixon haunt the rest of your career? In mid-December 2013, Chile held a presidential election and the both frontrunners are female - the left wing Michelle Bachelet and right-wing rival Evelyn Matthei. The two candidates share an extraordinary past - do you think through this election there is a way to help Chile reconcile its own past? Reconciliation is very personal. How can we ask people whose relatives disappeared or were tortured or assassinated to reconcile with the perpetrators? It take a long time for a country to reconcile with its past. Forty years have passed since the military coup in Chile and probably the country is ready to put the past behind. As Michelle Bachelet says: we can’t change the past but we can build the future. How do you think the first right wing government (under President Piñera) in Chile since Pinochet has performed? I think Piñera did a good job with the economy and maybe he deserves better popularity ratings. The unfair distribution of wealth, resources and opportunities in Chile is an endemic problem. Public education and health care, which caused so many protests during his government, are also long standing issues that the coalition of parties of the left and center-left did not fully tackle before Piñera. How do you feel about the social activism by students in Chile? We do not see much coverage of it in Europe. Students in Chile demonstrated their political awareness and commitment to social change and democracy. The young leaders of the movement are smarter more articulate that most politicians. Their activism in Chile is comparable to the “occupy” movement in the USA (in Wall Street and other places) but it doesn’t get much coverage because Chile is a small country that doesn’t play a major role in the international scene at this moment. The world’s attention is mostly in the Middle East. If you had to flee your home today, what would you take with you? My mother’s letters and old photographs. Pablo Neruda is still very much associated with Isla Negra, as well as La Chascuna in Santiago and coastal residence in Valaparaíso. Where would you most like to be associated with for posterity? I don’t believe in my own posterity. Legacy, obituary, transcendence, posterity... those are male obsessions. Did the call for his exhumation and its results surprise you? It would not have surprised me either way. Pablo Neruda was ill; he could have died of natural causes. But the dictatorship killed many of its detractors, including former President Eduardo Frei, so it would not have been surprising if it had eliminated Neruda, who was a voice for the left and internationally respected. Magical realism both in your own work, and in South American tradition, allows escapism. To what extent do you think you needed escapism from your own contemporary contexts when you wrote your novels? 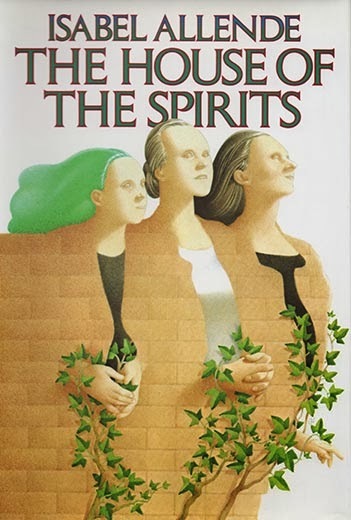 Magic realism allows escapism in Latin America the same way that religion, cults and New Age stuff (astrology, pop psychology, conspiracy theories, etc.) allow escapism in other countries. The world is still a mysterious place, we don’t have all the answers, and we control very little. I am open to the unknown in my life and in my writing. You say on your website, that working at Paula, a Chilean feminist magazine, “sharpening my ideas and my pen to defy the male establishment, was the best time of my life.” In what way? I had a cause, a mission. I was young, defiant, unafraid, and full of energy but I never took myself seriously, so it was all fun. Feminism determined the course of my life; it gave me the necessary anger to act but it never made me bitter. When you worked as a journalist or whether as an author, did you ever meet a subject from which you walked away? 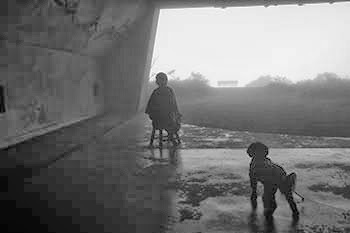 Yes, I have avoided torturers. How do you recommend writers today decide what to follow through in the public interest versus their personal view of what is just, but that which may harm public confidence or officialdom? Writers have no obligation to comply with the official story or the official version, their only obligation is with their own consciousness. Honesty above all. How did or do you manage to write features as a journalist or about subjects as an author which you fear may create unpopularity or upset? I don’t worry about popularity at all. But I am careful not to put ideas in the minds of psychopaths. Why would I describe violence or abuse in detail if suggesting it is enough? Readers have imagination. When visiting Chile I was struck by how everyone I met had an informed political opinion and were willing to share it. Young people in Europe seem apathetic and uninformed about voting. What can we or should we do? In Chile everybody has an articulate opinion about almost everything, especially politics, however 44% of the population did not vote in this recent presidential election. Words don’t mean much if people don’t even show up to vote! “The death of a child is the oldest sorrow of women. Mothers have lost children for millennia. It is only a privileged few who can expect all of their children to live.” For the privileged few, what do you think most important for mothers to impart to their children in today’s first world? And if we can each do something to help those less privileged mothers, what would it be? Provide living wages and education. Aside from The House of Spirits, Foyles in London says they sell most of Eva Luna. Do you think its themes will ever date or will they continue to be universal? My stories are about human relationships and probably those will never be dated. What’s your perfect working lunch and would there ever be any pisco in the house? Five people work in my office and we share lunch daily. It could be sushi, Thai, Indian, Mexican and even some wholesome California vegan cuisine. What makes it perfect is not the food, but the company. And no, unfortunately we don`t have pisco at lunch, only at dinner or when emotionally distressed. Is there always going to be another book in you? I have no idea...you will have to ask me on January 7th. Follow the links to Isabel's authorised blog and website. A compilation of Isabel Allende's commonly asked interview questions can be found on her website. Her existing books feature a variety of covers; click here to view some of the more than 700 different covers of Isabel's books from around the world. Maya's Notebook was most recently published in English in 2013. 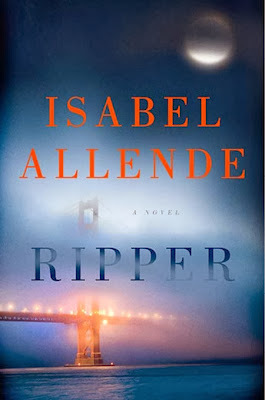 Isabel's new book, Ripper, comes out in the USA and UK on January 28th, 2014. The Ripper Book Tour is below. THURSDAY, JANUARY 30, WASHINGTON, D.C.